Jaguar will be presenting a number of vehicles. The World Government Summit (WGS) and Al Tayer Motors have again joined hands to become automotive partners for three editions of WGS. The World Government Summit works to transform the future of organizations around the globe. This comes in line with the UAE government’s plans. This is the reason this partnership gets the support of His Highness Sheikh Mohammed Bin Rashid Al Maktoum, Vice President and Prime Minister of the UAE, and Ruler of Dubai. Al-Tayer Motors is the exclusive dealer of Jaguar in the UAE. They will be presenting a number of vehicles including the award-winning all-electric performance sports utility vehicle I-PACE, Range Rover, Range Rover Sport, and Range Rover Velar vehicles during WGS 2019, which starts from Feb 10. “World Government Summit has established itself as one of the key global events that bring together some of the leading minds in government as well as the private sector to focus on the topics that determine the course of action of future governments as well as engaging citizens in governance. As one of the UAE’s leading automotive dealerships, we are pleased to continue our commitment to WGS until 2021 to enhance this dialogue between the public and private sectors as well as promote blue-sky thinking for the development of humankind,” stated Dr. Tariq Humaid Al Tayer, Director, Al Tayer Motors. The ongoing WGS is providing Al Tayer Motors their first chance to display Jaguar’s first electric vehicle to a big audience. ”We are truly excited to showcase the Jaguar I-PACE, which places Jaguar among the front-runners in the evolution of the automotive industry with a beautifully designed and capable fully electric SUV, during this prestigious international event. 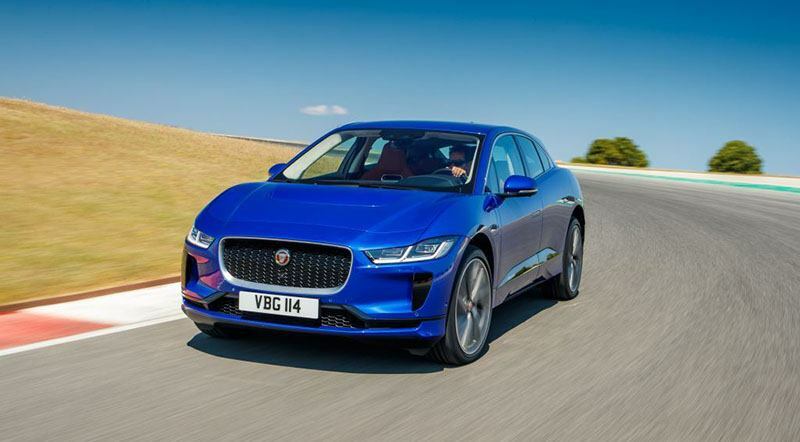 The Jaguar I-PACE embodies the future of Jaguar with zero tailpipe emissions and delivers sustainable sports car performance,” added Robertson.